Mention "witchcraft" in America, and most people will immediately think of Salem, Massachusetts. After all, the famous (or infamous, depending on how you look at it) trial of 1692 went down in history as a perfect storm of fear, religious fanaticism, and mass hysteria. What most people don’t realize, however, is that three decades before Salem, there was another witchcraft trial in nearby Connecticut, in which four people were executed. In Salem, 20 people were put to death—19 by hanging, and one pressed with heavy stones—for the crime of witchcraft. It is, by far, one of the best-known legal debacles in American history, in part because of the sheer number of people involved. Hartford, on the other hand, was a much smaller trial and tends to get overlooked. However, it’s important to talk about Hartford, because it did set a bit of a legal precedent for witchcraft trials in the Colonies. 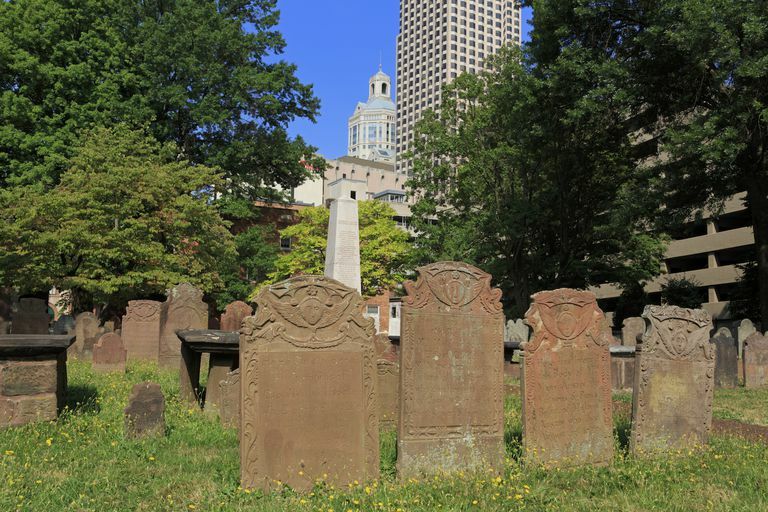 After Elizabeth died, several other people in Hartford came forward, claiming to have been “afflicted” by demonic possession at the hands of their neighbors. One woman, Anne Cole, blamed her illnesses upon Rebecca Greensmith, who was known in the community as a “lewd, ignorant, considerably aged woman.” Much like what we see in the Salem case 30 years later, accusations flew, pitting townsfolk against those whom they had known their entire lives. At her trial, Greensmith confessed in open court, testifying that not only did she have dealings with the devil but that she and as many as seven other witches, including Goody Ayers, often met in the woods at night to plot their nefarious magical attacks. Greensmith’s husband, Nathaniel, was also charged; he maintained that he was innocent, even though his own wife was the one who implicated him. The two of them were subjected to the dunking test, in which their hands and feet were tied and they were tossed into the water to see if they would float or sink. The theory was that a real witch wouldn’t sink, because the devil would keep him or her afloat. Unfortunately for the Greensmiths, they did not sink during the dunking test. Witchcraft had been a capital crime in Connecticut since 1642, when a statute was enacted reading, "If any man or woman be a witch—that is, hath or consulteth with a familiar spirit—they shall be put to death.” Both of the Greensmiths, along with Mary Sanford and Mary Barnes, were hanged for their alleged crimes. Ayers, who was the first of the accused in Hartford, somehow managed to flee the town and thus avoid execution. After the 1662 trials, Connecticut continued to hang many of those convicted of witchcraft in the colony. In 2012, descendants of the victims and members of the Connecticut Wiccan & Pagan Network pushed Gov. Dannel Malloy to sign a proclamation clearing the names of the victims. Christopher Klein, The History Channel: "Before Salem, the First American Witch Hunt"
Ray Bendici, "Damned Connecticut: Connecticut Witchcraft Trials"
Ann Marie Somma, Huffington Post: "Connecticut Witch Trial Descendants Want Justice"